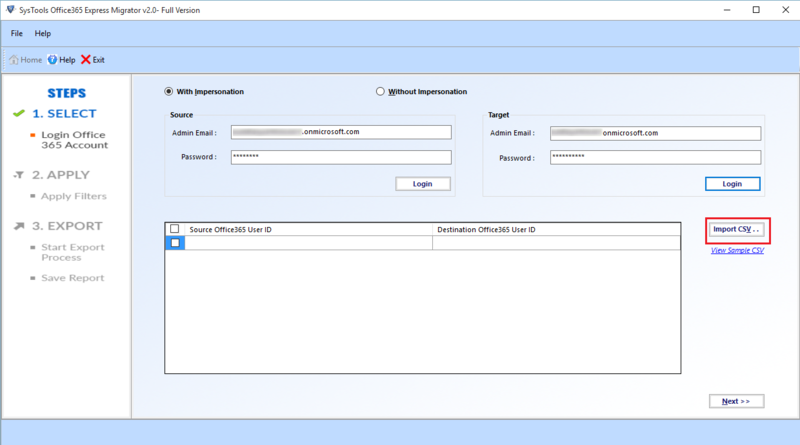 Office 365 to Office 365 Migration software to transfer mailboxes from one Office 365 tenant to another account / domain. It moves emails, tasks, calendars, contacts, etc. from one O365 tenant to new tenant without any data loss. 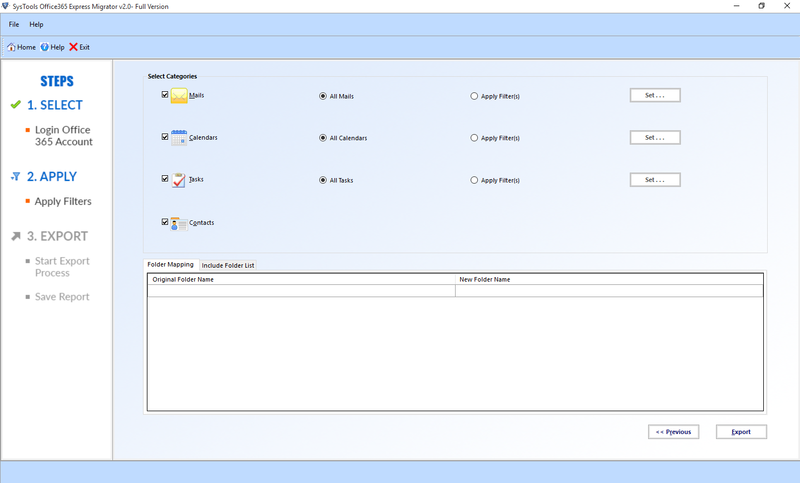 Microsoft O365 tenant to tenant migration application exports email, address book, tasks, and calendars etc. from Office 365 account to new account or in same domain. Transferring of Office 365 data to another Office 365 mailbox enables users to move emails from one Office 365 account to another domain. It acts as a perfect means to merge two Office 365 tenants for one or the other purpose. The software provides the facility of mapping and exporting items from one mailbox to the targeted tenant. The data transferring procedure requires complete credentials of source and destination of Office 365 tenant. 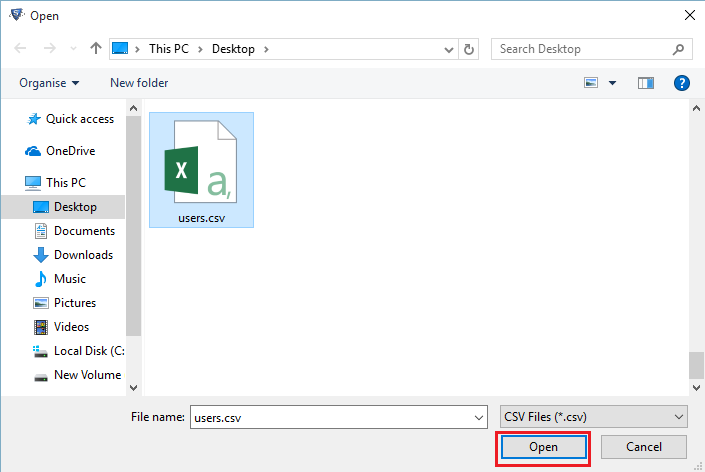 For this, the O365 tenant to tenant exporter software renders a very easy feature of adding CSV file in the tool. This CSV should be having source email id, source email password, destination email id, and destination email password. The product migrates mailboxes from one Office 365 tenant to another domain. It is possible to filter out unwanted emails at the time of the migration procedure. 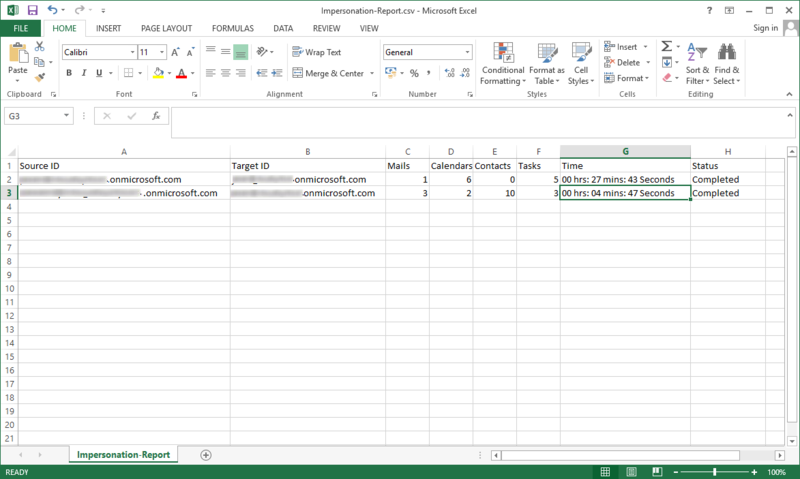 Users can set the date range whose data is to be moved in targeted O365 domain. This option is applicable to emails, tasks, and calendars, items only. Office 365 to Office 365 migration tool renders feature to filter out unwanted mailboxes at the time of data transferring procedure. Check or uncheck only those mailboxes, which you want or don’t want to move in the targeted tenant. This will be moving data as it is, without any change in the folder structure. Once you have successfully added source and targeted mailboxes information, the products start mapping the mailboxes. When the mapping gets finished, it will be authenticating each mailbox and then, let users proceed with the migration. 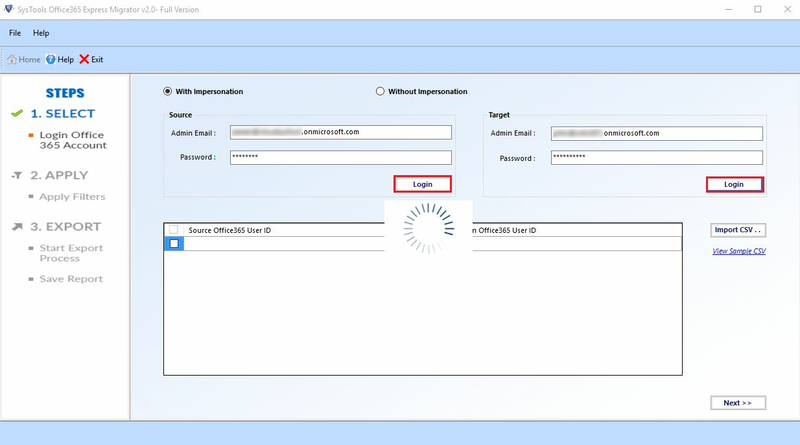 O365 to O365 migration utility provides pause and resume button to customize data transferring procedure. This will be very much helpful when there is slow internet connection at the user's end. 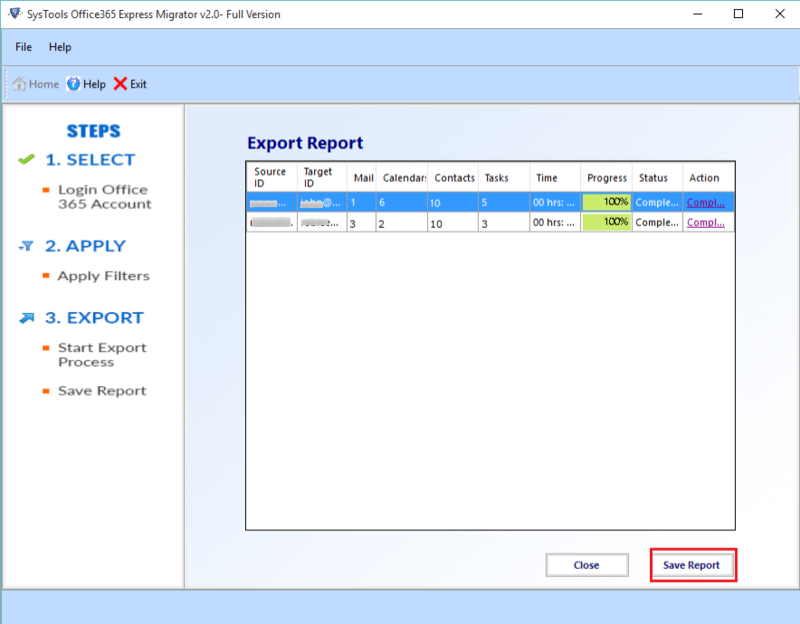 In addition to this, the software also displays the live status report of the data migration procedure. The Office 365 Tenant Migrator provides an feature that allows the user to pause the process and resume it whenever needed. The exporting will get resumed from the point where it was paused. This way the tool ensures uninterrupted transfer of one account to another domain even in the poor internet connectivity. The Office 365 tenant to tenant migration application will allow the users to move folders, by entering the list of folders that one needed to export. Thaht is; this way the application allows the users to perform selective conversion of only those folders which they need to transfer to new account in O365. 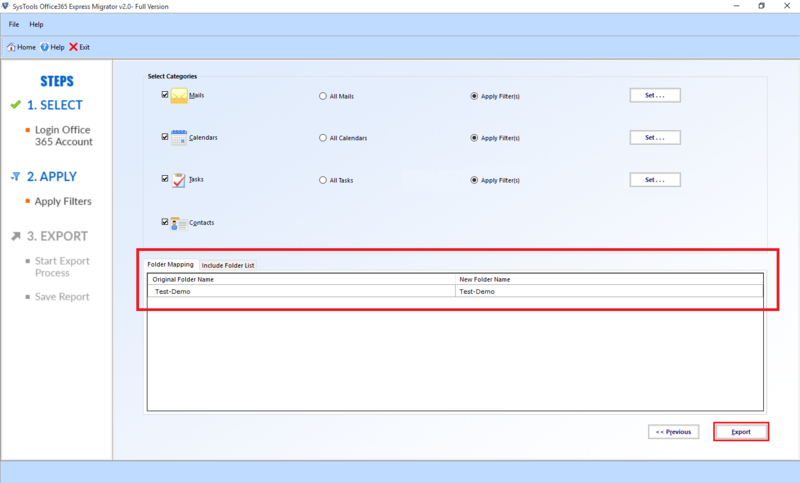 How To Migrate Office 365 Tenant To Another Tenant? Watch!! 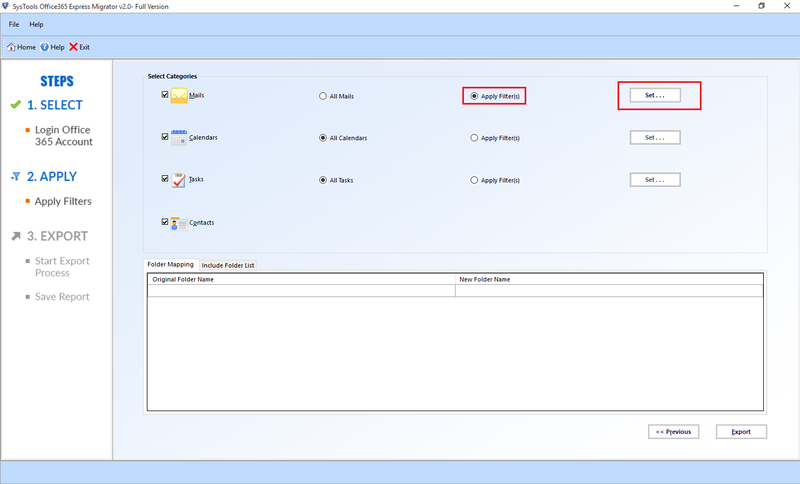 How to Migrate Office 365 To Office 365 Tenants? Q. How to migrate from one Office 365 to another Office 365 account? Q. Will O365 tenant to tennat migrator software move shared mailboxes from MS Office 365 account? Ans: No, till now, our software does not support migration of the shared mailboxes. But, this feature is going to be soon seen the upcoming version of the product. Q. 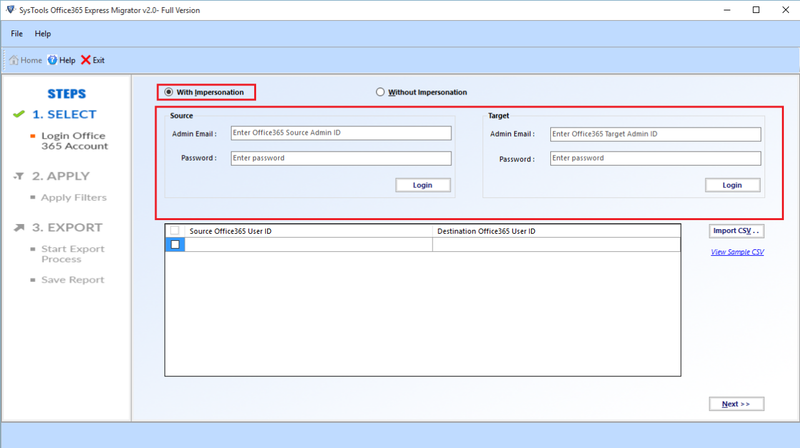 Does your Office 365 to Office 365 migration tool provides any feature of pause and resume? Ans: Yes, the tool renders an uninterrupted migration because it offers a pause-and-resume option to its users. Utilize both these options to resume the procedure from where it was interrupted. Q. Is it possible to move domain between Office 365 account to another? Ans: Yes, of course, our Office 365 to Office 365 migrator is capable of moving Office 365 domain to another tenant. Note: Office 365 Tenant to Tenant Migrator Software will get delivered on your registered email id, within few minutes after placing the order. Since a long time, I was searching for a simple solution to migrate from Office 365 to Office 365 account. I communicated with a technical executive but, he provided me solution that made my things more complicated. 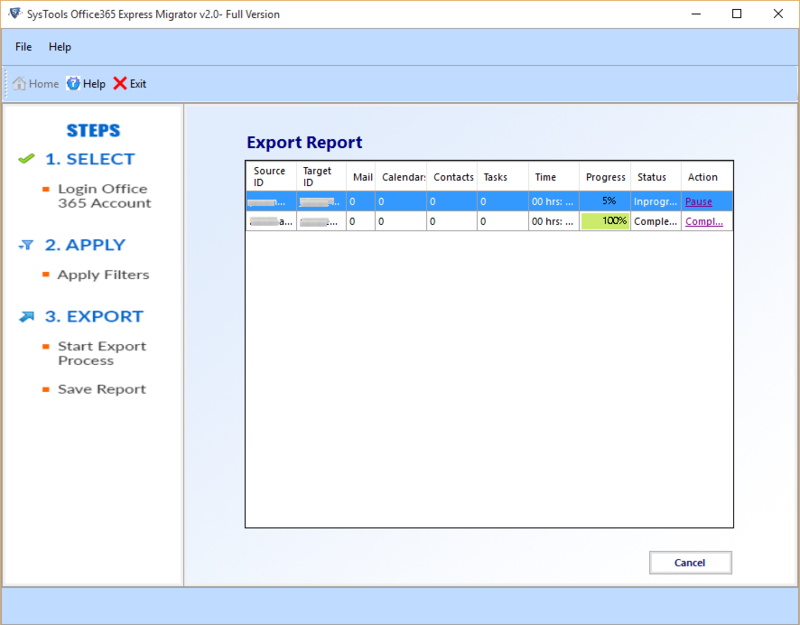 But, thank God that I found this Office 365 Express migrator on Facebook page of SysTools. It provided the easiest solution ever to transfer files from one O365 account to another domain. The manual solution to transfer mailboxes from tenant to tenat in Office 365 is very much difficult. God knows what all permissions are to be enabled to attempt this. I am very much grateful to SysTools that it provided Microsoft users with the best ever approach to move domain from one Office 365 tenant to another tenant. Hard work developers are highly appreciated! The Office 365 to Office 365 Migration software is a perfect methodology to combine Office 365 tenants. It was difficult for me to manage 2 O365 accounts simultaneously and thus, I decided to merge both of them. I used this product for the same and without any data loss, merge Office 365 mailboxes of two tenants in an uncomplicated manner.